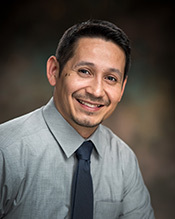 As a Surgery Patient Liaison, Erick Talamantes works with patients and their families to address concerns or special needs that may arise while at Texas Children’s undergoing surgery. In this position you have work well with patient families and be able to engage in conversations whether casual or difficult. Erick is known for doing this effortlessly. A patient’s family specifically sent an email to President and CEO Mark Wallace sharing their thoughts and gratitude about their experience with the neurology and neurosurgery teams. They stated how impressed they were with how comfortable and informed they began to be over time about their child’s medical condition after working with Erick.